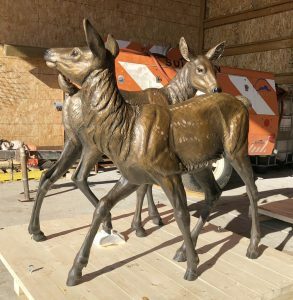 Three years in the making has now culminated in these finished bronzes for the City of Golden, Colorado. 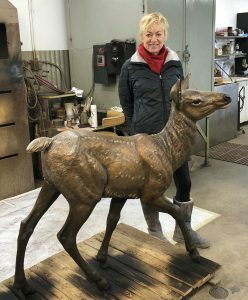 These life and one-quarter sized bronzes representing a cow elk with twin calves are the only public bronzes in the USA depicting a cow elk with her young. 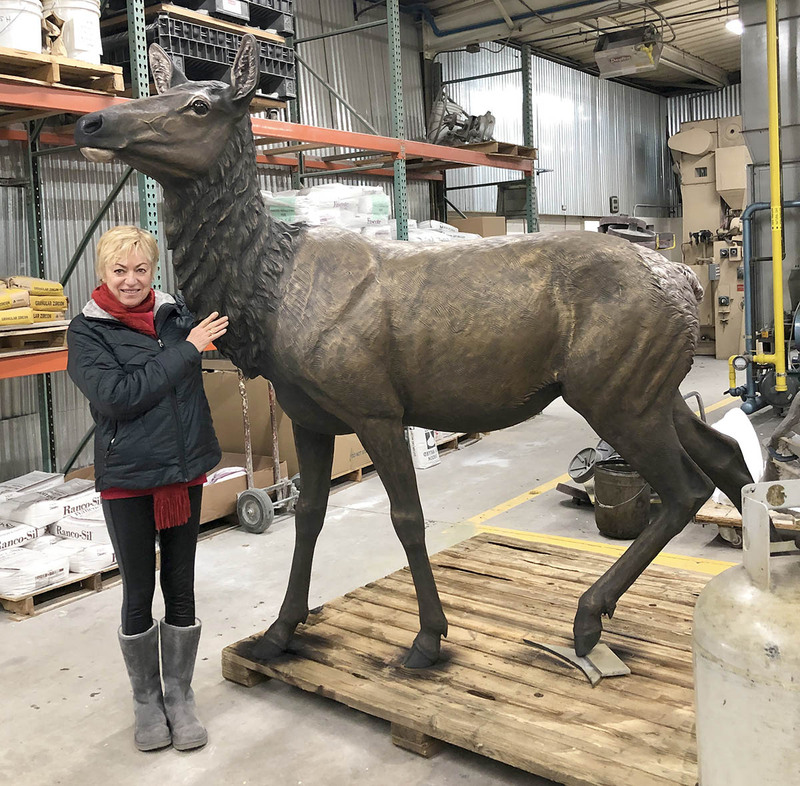 Usually, it is the bull elk that is chosen to be immortalized in bronze. We felt it was about time for some feminine representation! The official unveiling ceremony will be this April once the landscaping and concrete base is completed. It will be placed in a prominent traffic roundabout in Golden. 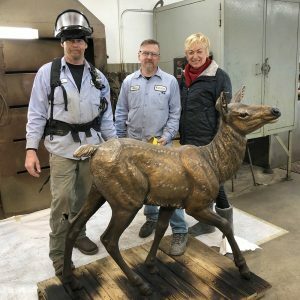 Many thanks to Nate and Marc, Master patineurs, and the rest of the crew at Art Castings of Colorado for helping me make this project a success.